There is no dessert that captures the fall season quite like apple pie. It’s warm and gooey, spiced perfectly and makes the most out of the seasonal produce. However, one thing pie isn’t, is easily portable. I was asked to make apple pie for a recent birthday picnic out in the countryside. I fretted over what pan to bake it in, what knife to bring to slice it and if I would have enough plates and forks. Even more stressing was the idea that the pie, with it’s delicately flakey crust and soft apples might not survive the journey. In a moment of true inspiration, I decided to make handheld apple pie puffs. They taste exactly like the original but are single serve with no slicing, plating or silverware required! They were an instant hit and, to be honest, a lot easier to make then the original. 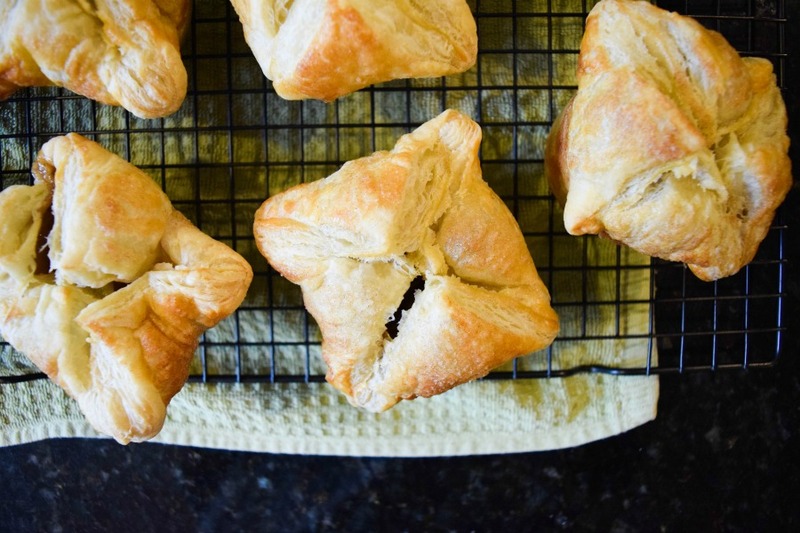 Use your favorite farmer owned ingredients to make these portable pie puffs today! 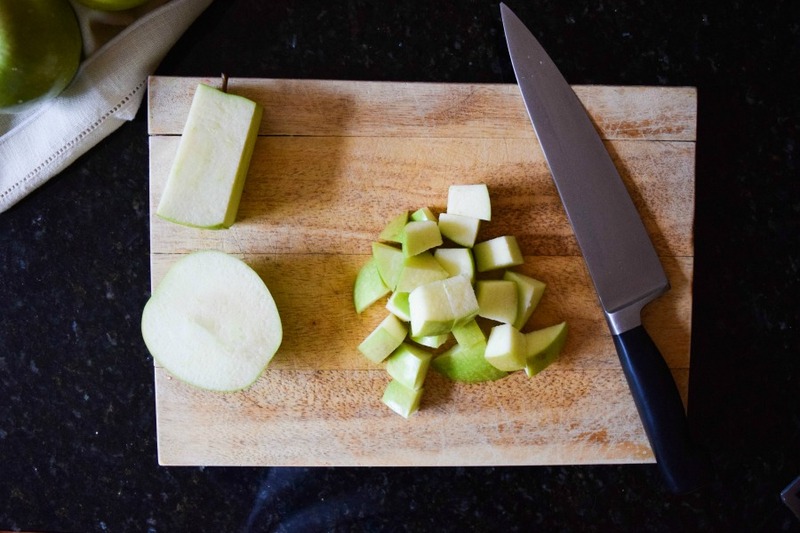 Chop the apples into 1/2 inch chunks. In a large skillet, melt the butter over medium heat. 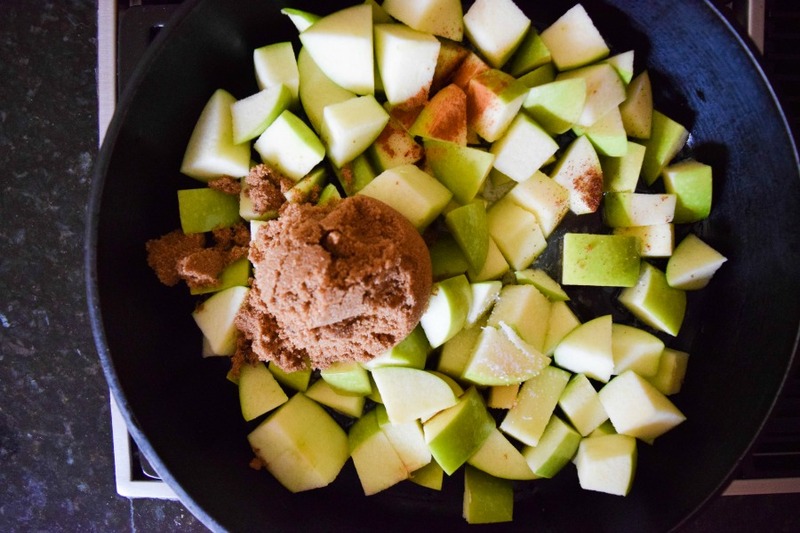 Add the apples, sugar, salt, cinnamon, cloves and cornstarch. Toss to combine. 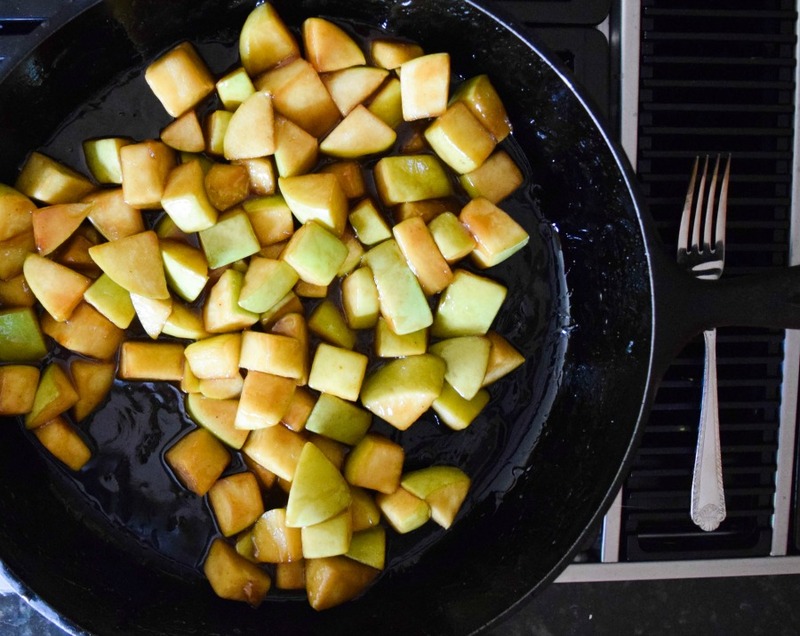 Cook the apples over medium flame for 45 minutes, stirring occasionally, until the apples are fork tender and the liquid has thickened. Remove from heat and set aside. 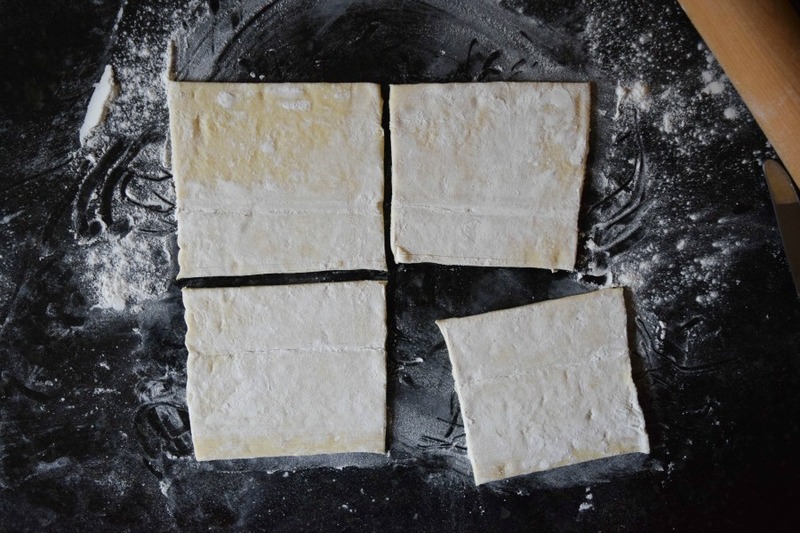 Working with one sheet at a time, roll your puff pastry into a 10in X 10in square. Cut the square into four equal portions. Repeat with second sheet of puff pastry. You will have eight squares. Grease four holes of two separate muffin tins. Place the pastry squares over greased holes and press down slightly. 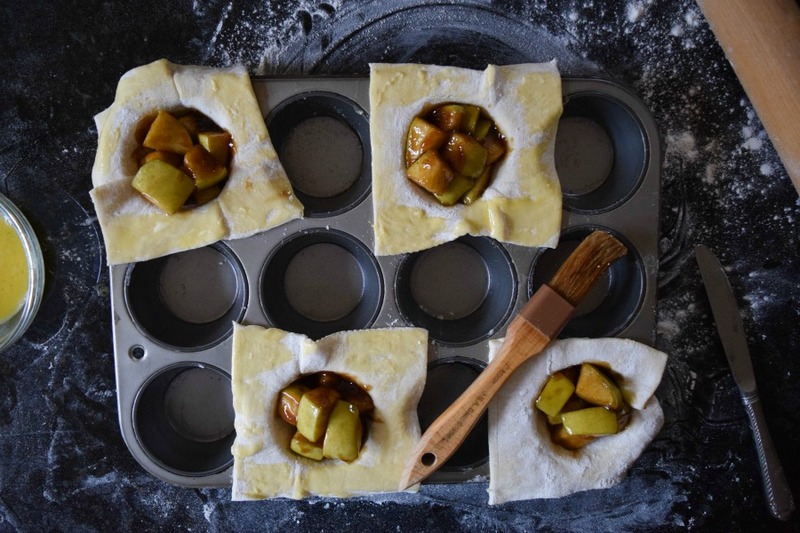 Fill pastry with apple filling. 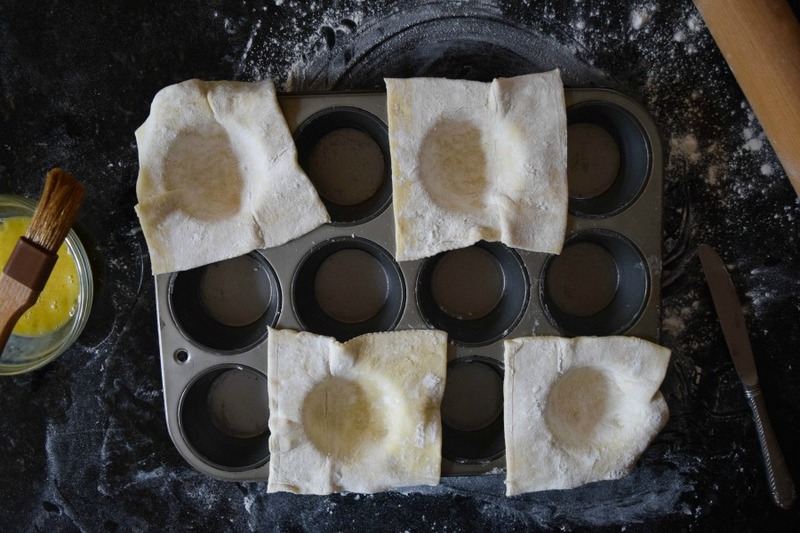 Whisk the egg in a small bowl and use as an egg wash. Run the egg wash around the edges of the pastry. 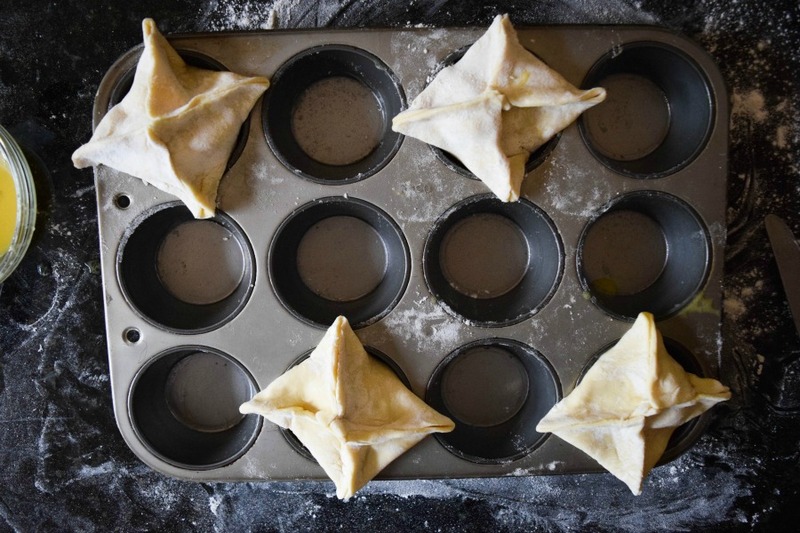 Using your fingers, crimp the edges of the pastry together to create little packages. Brush the remainder of the egg wash over the top of the puffs. Sprinkle each with white sugar and cinnamon. Bake in a preheated 325° F oven for 25-28 minutes until the puffs are golden brown. Allow puffs to cool in pans for 10 minutes before carefully removing. Puffs can be eaten warm or at room temperature.